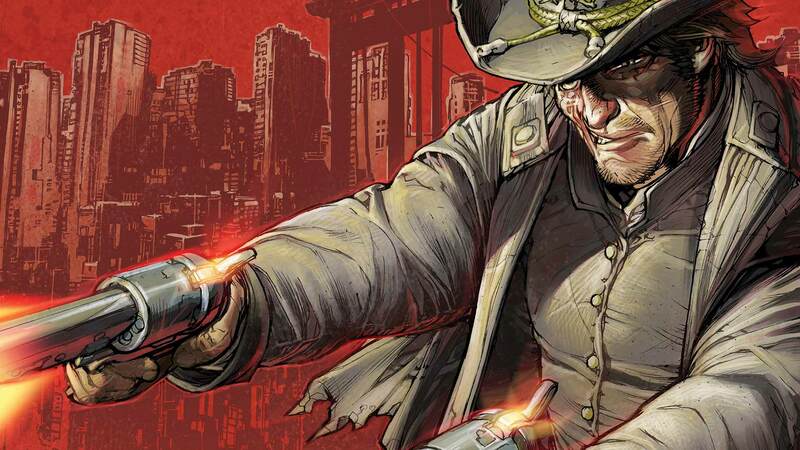 After a confrontation with Booster Gold in the Old West, Jonah Hex is transported to modern-day Gotham City. Confused and adrift but still trigger-happy, Hex looks to shoot his way out of trouble – but that may do him no good when he’s thrown into Arkham Asylum! These tales from issues #22-28 guest star Batman, John Constantine, Superman and more.